Boxercise is a fitness class based around the principles of boxing, classes involve a variety of exercises such as running, press ups, sit ups boxing technique, hitting pads and more. Expect to learn the basics of boxing with the aim of building strength, getting fit and having fun. As one of my housemates had been to this and recommend it, my friend and I decided to give it a try. We literally had no idea what to expect and had no previous experience in boxing. This class was organised into pairs so if you try it bring a friend. We then watched the instructor give a 5 minute demonstration of 8 different moves, each given a number from 1-8. After a few minutes of practicing the moves facing the mirror and learning the correct way to stand, we were given the gloves and pads. This was so exciting and embarrassingly, made us feel like professionals. Unfortunately there was no opportunity to take photos but it would have been the perfect photo-op if ever there was one in a fitness class! Whilst one of us held the pads, the instructor gave us simple number combinations (corresponding to the moves) which the person with the gloves was to carry out. This started off fairly simple by only repeating 2/3 moves at a time. When we got to 5/6 long combinations though, it was actually difficult to remember the order of the moves. I don't know if this was a problem everyone faced though, maybe it's just my hand-eye coordination that needed improving.. which it did! Punching the pads was difficult but satisfying. As my friend kept saying, 'think of someone you hate' which does the trick if you need any motivation to put power into your punches. Surprisingly, holding the pads was also tiring as you had to hold your arms out for a while and take the force of the punches. The class was more focused on technique which was perfect for us as first timers. It alternates each week with the circuits-style class which includes skipping, sit ups and other drills. My back and arms were sore the next day as it worked muscles I'd never worked before. If I had went to the next weeks class, according to my friends I wouldn't been a lot sweatier and exhausted. So there is a lot of variation! I seem to have had a completely different boxercise experience to Meli! This just goes to show how different some classes can be and if you like the general idea of the class maybe try a few places so you find the best one for you. We started off with a fifteen minute warm up which involved a lot of running around and a surprising amount of press ups. I thought this seemed promising, while I'm not a massive fan of press ups I definitely felt like I was working out and that we were building up to something. As it happens- not the case. Our instructor then showed us one move which we copied for ten minutes, punching every time she clapped. Then we did the same with the other hand for ten minutes... then one of each for another ten minutes (you see where this is going). We then moved onto doing the same thing with the gloves on for the last fifteen minutes. This was harder and while punching the pads we started to feel our muscles working, yay! We may not have felt that it did much for us in terms of fitness, or learning the skill but we did have a lot of fun laughing at ourselves and who knows, now we may be able dance our way out of a fight. All I can say is that if you like repetitive movement then this might just be the class for you! 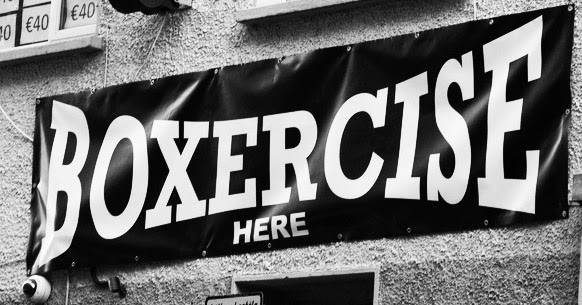 Have you been to a Boxercise class? Let us know what you thought in the comments below! Oh that looks fun! doesnt really look hard but it looks fun! i should try that! 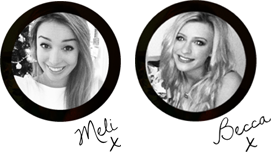 & Btw i tagged you guys in "The Liebster Award Tag"
Hi there Meli and Becca - sounds like you both had completely different experiences! Boxercise is a free-style class - we train instructors in all the skills needed to teach the 8 punches and perform them safely and correctly on the pads. Instructors are taught to teach to their own strengths, although having said that it doesn't sound like the second class you describe actually was a trained Boxercise Instructor. There are many, many types of boxing fitness class but Boxercise usually does involve punching the pads and/or circuits as described in the first class. As the article points out is definitely important to try different styles of class/instructor as you may enjoy one type and not another. Thanks for following me on there too!